Ok, with that off my chest, let’s chat about this pillow! I was at Marshall’s a few weeks ago (SHOCKING, I know). I spotted this pillow and couldn’t grab it fast enough. It was that cute. And I thought, YES! Yes, I can! I have quite a few Fall pillows that have zipper covers, so I already knew I had the insert, just had to pick up the cover. 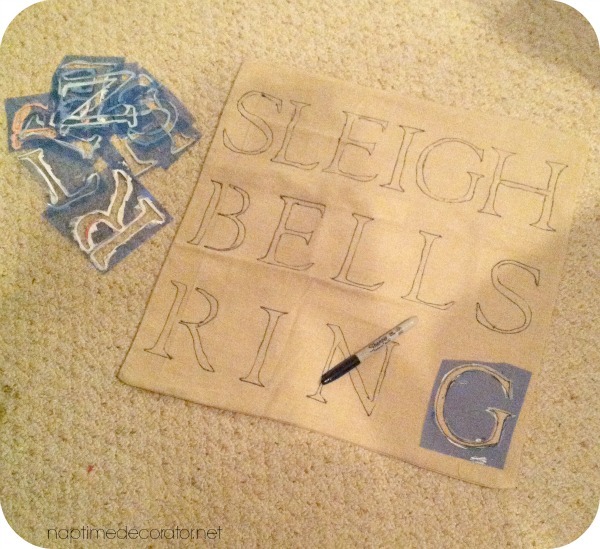 I knew I had just the stencils to use – my 4 inch Rustic Alphabet Letters from Hobby Lobby. I bought them several years ago and use the heck out of them. Truly. I got out the lower case letters, and they just didn’t take up as much space as I’d like. So I took out the upper case and they worked perfectly! I decided to space them out so that the first and last letters of each line lined up. 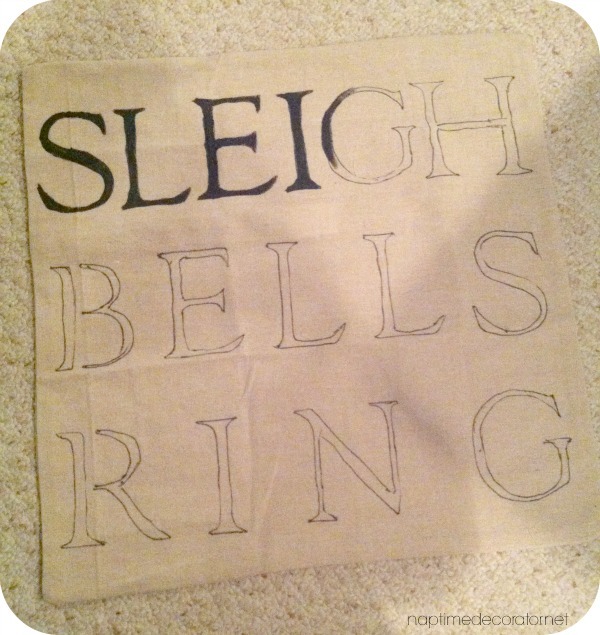 This ensured the entire pillow front was covered in letters. Does that make sense? Just had a hunch it would look cool that way. I have it sitting on the entry bench and I’m loving it! 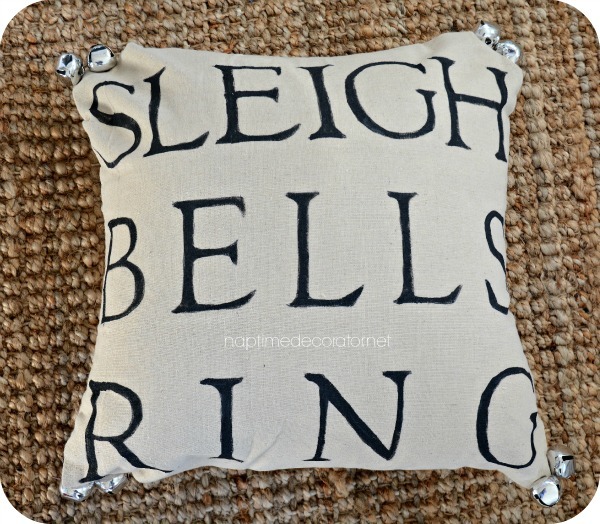 If you give this a go, learn from my mistake and don’t put the letters so low – the word ‘ring’ gets a little hidden when the pillow smooshes;) I figured you can still figure out what it says though, right?! I hope! 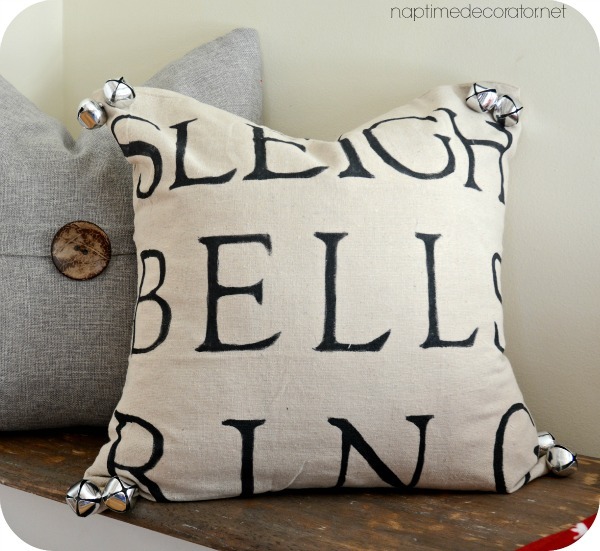 I love that the possibilities are endless with these blank canvas pillow covers. 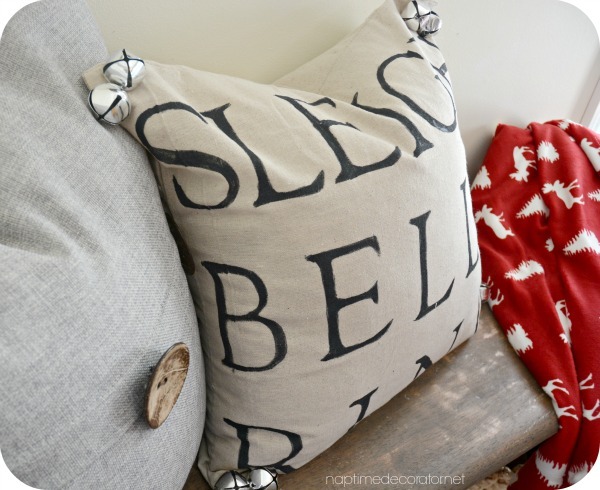 And I really love that I can make a brand new pillow for just a few bucks. Shout out to one of my favorite places on Earth, Marshalls, for the inspiration (and Mom for suggesting I give it a go)! Oh my gosh – I LOVE IT! 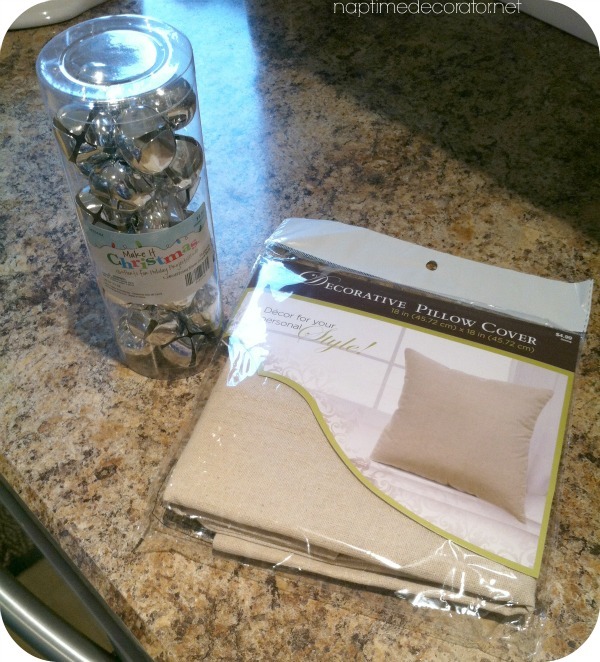 I can’t get to Hobby Lobby fast enough to buy supplies – thank you for the inspiration! Oh, and Happy Thanksgiving to you and your adorable family! I actually prefer yours! I love how the words spread out and cover the whole front. Very appealing. Hope your Thanksgiving is wonderful, too. So cute! 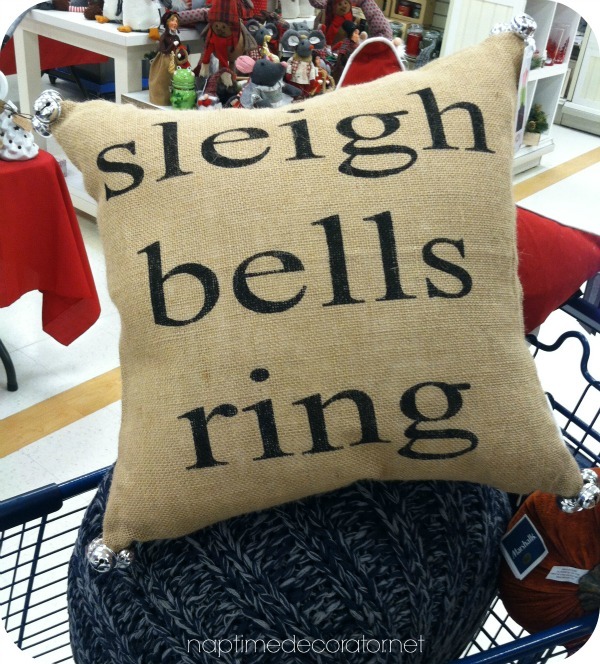 I didn’t know Hobby Lobby sold the pillow covers!